The IceCube Neutrino Observatory is located on and below the ice in Antarctica—unlike other observatories, it is pointed downwards. This allows for detecting cosmic particles after they have passed all the way through the Earth. This approach means that the Earth can be used to filter out unwanted noise. It also provides a way to track the behavior of the particles after they pass through the planet or after they have collided with other particles. In this new effort, the researchers have offered a possible explanation for an anomaly detected at the observatory. 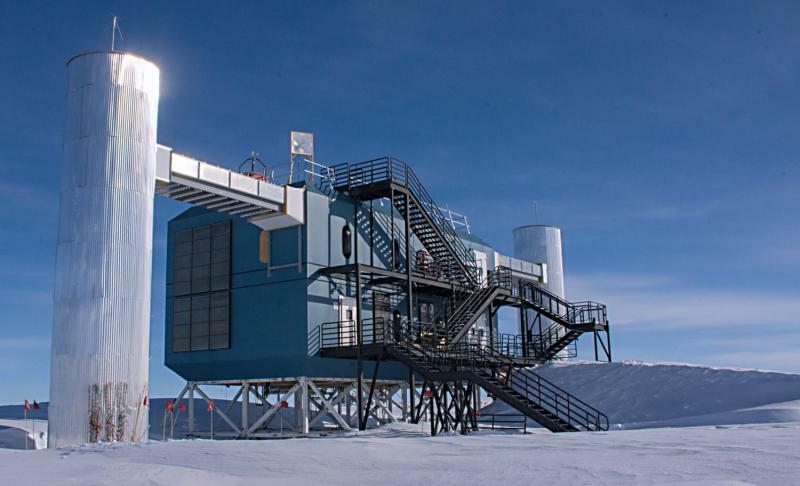 Neutrinos at the observatory are studied in two different ways. In the first, researchers study the tracks they make as they move through a detector. In the second, they study particles that cause light to be emitted when they smash into ice particles. Scientists studying the neutrinos have found an apparent anomaly, one that is in need of an explanation. The anomaly involves the ratio of neutrino types that are detected at the observatory. Prior research has found that there are three kinds of neutrinos—electron, muon and tau—and that they should be found in equal numbers. But the detector consistently detects many more electron neutrinos than the other two types. Denton and Tamborra suggest this discrepancy can be explained by tau and muon neutrinos decaying into a different particle called a majoron. And this is where it gets truly interesting because majorons are a proposed dark matter particle. Majorons have been proposed as a dark matter particle that could allow a neutrino to have mass. If so, that would help explain experiments that have shown that neutrinos actually do have mass. If it can be shown that muon and tau neutrinos decay to them, that would not only explain the anomaly, but it would also offer more credence to theories surrounding dark matter.